Easter is a time of many things – to some, it’s the religious peak of the year, others it’s about bunnies and bonnets. For lots of us, it’s about the food. Regardless of your take on it, with the shops full of Easter eggs, you can tell that we’re getting closer and closer to chocolate day, but it raises a really important question: what to eat this Easter? Whether you’re thinking of a fun brunch with friends, snacks to take into work or to a friend’s place, drinks or dinner, Easter is a great excuse to create some delicious food that reflects the changing of the seasons. To help make your week a little easier, here are some ideas for what to eat this Easter. Over the last couple of weeks it’s been really clear that people love something packed with sugar, even if we’re all meant to hate on sugar these days. 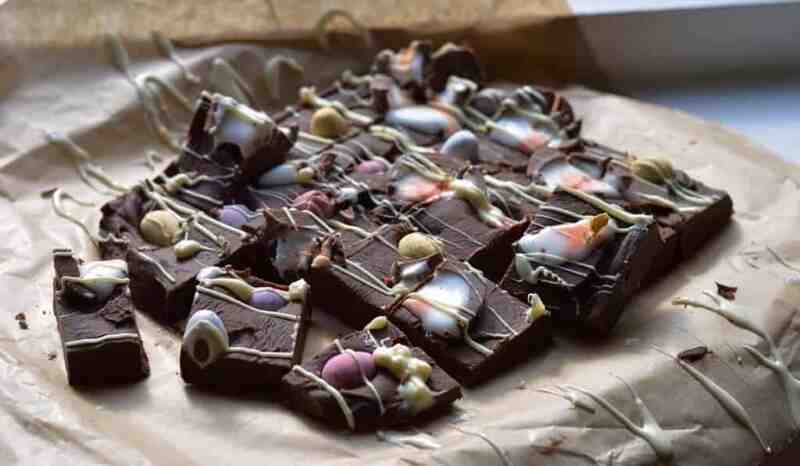 I’ve put photos of this chocolate Easter fudge (hello Mini Eggs and Creme Eggs!) on Instagram, Facebook and Pinterest, and it’s being lapped up. I may even get involved myself and make a batch to take into work. 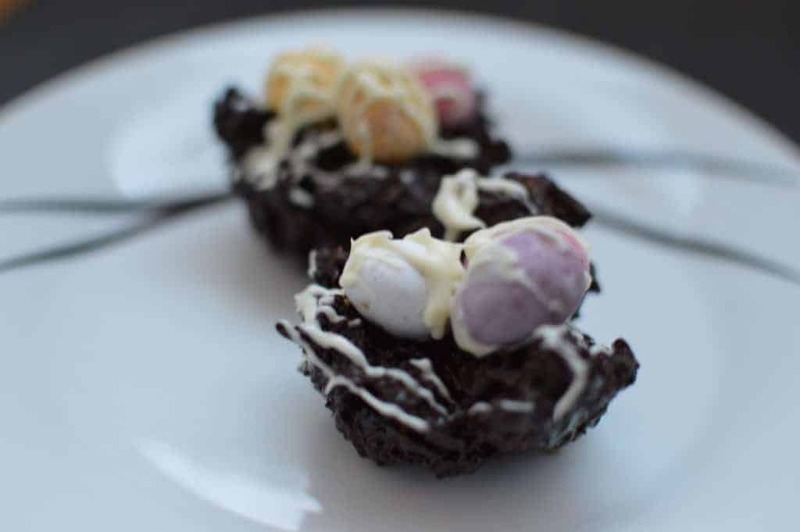 You can also make this fudge with pretty much any Easter chocolate you can find – it works really well with those Malteaster bunnies, provided you don’t feel too bad about potentially chopping off their ears when you cut it! Alternatively, I would also recommend making little chocolate Easter nests. Normally these mini-egg-festooned delights are quint childhood memories, but these chocolate nests have rum in them, so that makes it grown up and sophisticated. Right? It might seems a little odd to have desserts before the rest of the meal in this list, but let’s be honest – we’re all here for hot cross buns, right? 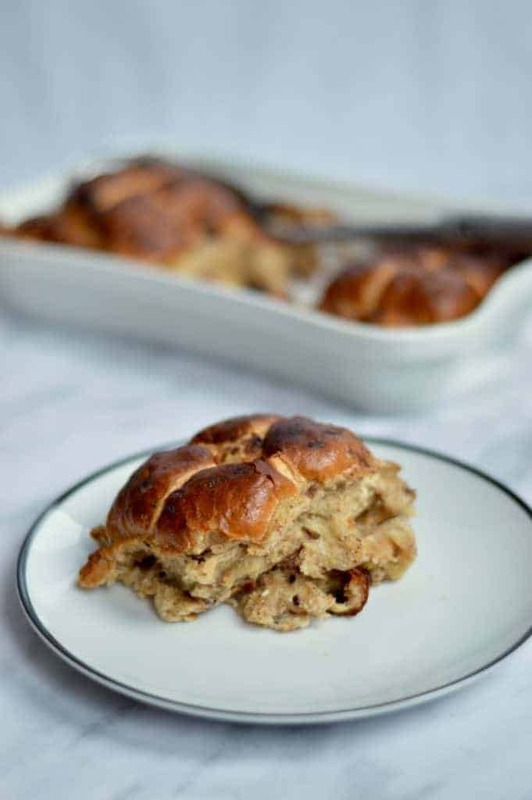 My favourite desert to have at Easter is a hot cross bun bread and butter pudding. This is a dessert that’s really easy to pull together. 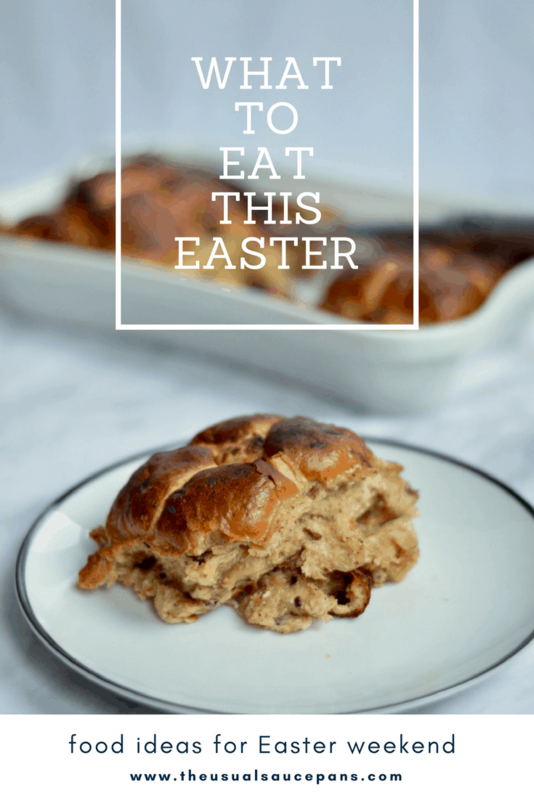 You can, of course, make your hot cross buns, but you can also totally cheat (like I do) and get a pack of good ones and making it from there. Other options around desserts – and yes, we’re going back to chocolate territory – are boozy-mousse-filled eggs are amazing. I’ve made a few versions of this in the past, but essentially at the heart of it we’re talking baby Easter eggs filled with chocolate mousse. Flavours that go really well with this are kirsch (cherry) and chilli. 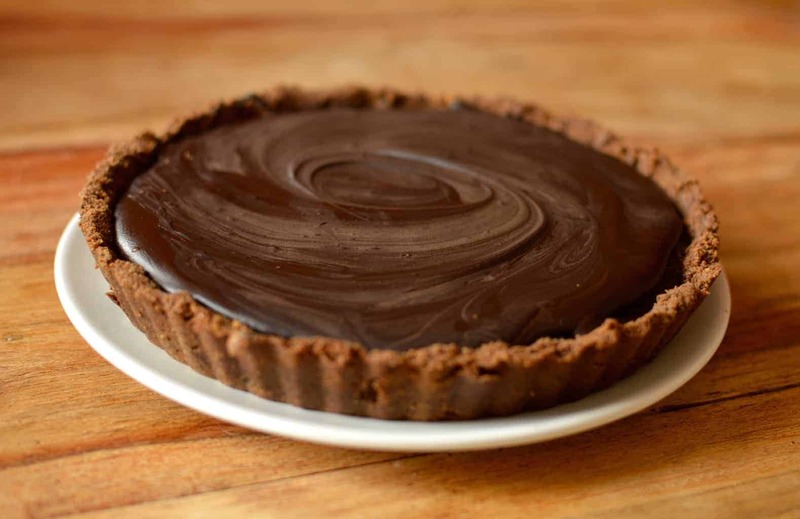 For a slightly more adult looking option, you could also try a chocolate orange torte. Any long weekend that involves a bank holiday should also feature brunch. Easter is great for this as so many people have it off work and there are some great spring flavours in season and it’s the perfect pick-me-up. 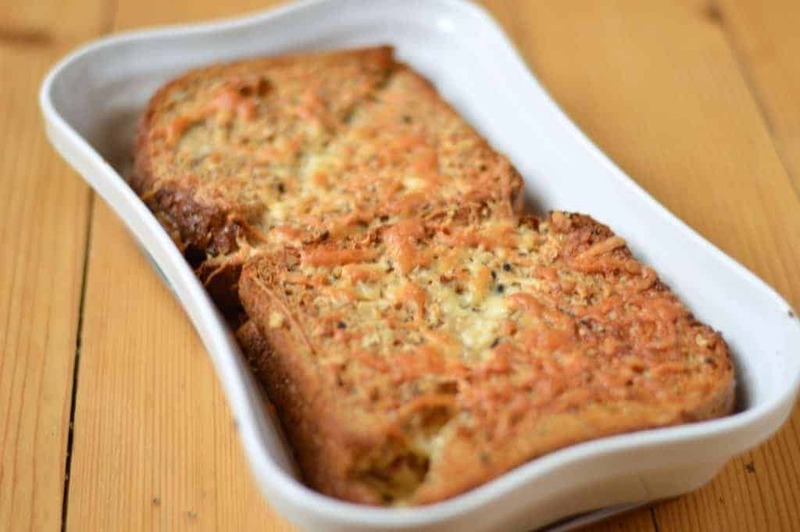 Whilst many might go for pancakes or eggs, I would recommend you try a baked croque monsieur. This is pure brunch gold – it’s got bread, cheese and yet more cheese-related goodness. There’s also ham, mustard and baking in the oven involved. What would Easter be without lamb? Yes, they look cute bouncing about a field, but they are most definitely more delicious on your plate. 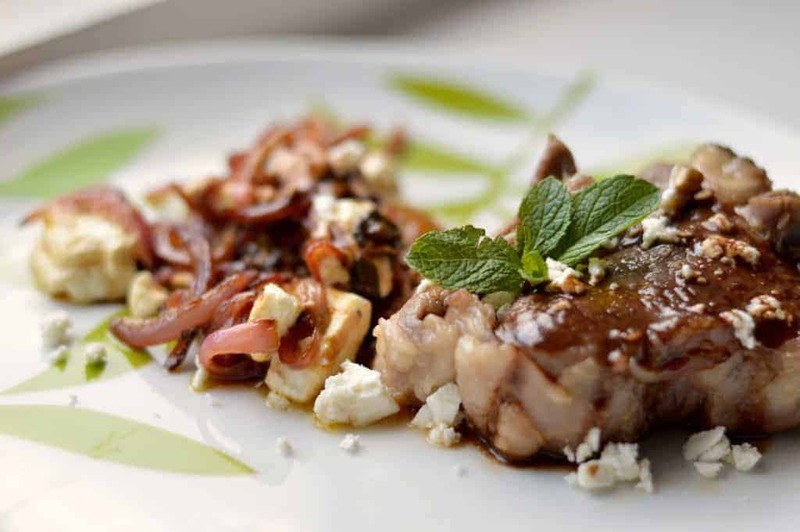 Lamb chops with mint and feta was one of the most popular posts on the blog last spring, and this Easter I’d highly recommend giving it a go. If you’re looking for a veggie-friendly recipe you can also try roast cauliflower. Not only is it utterly delicious, it’s a great season-changing dish, with the earthy flavours of the cauliflower mixing with tomato and spices. And to wash it all down? Well, there are many options, depending on your situation. 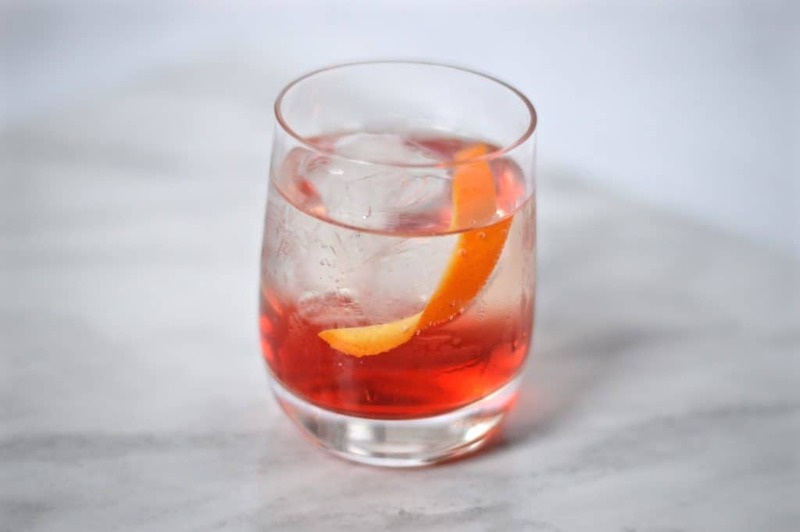 If you’re celebrating with family, I’d recommend something sparkling, like a prosecco negroni, but if you’re out and about with friends, this beer cocktail is a great option. If you are looking for a big jug of something to put on the table that’s not boozy, you can also make a raspberry cooler. 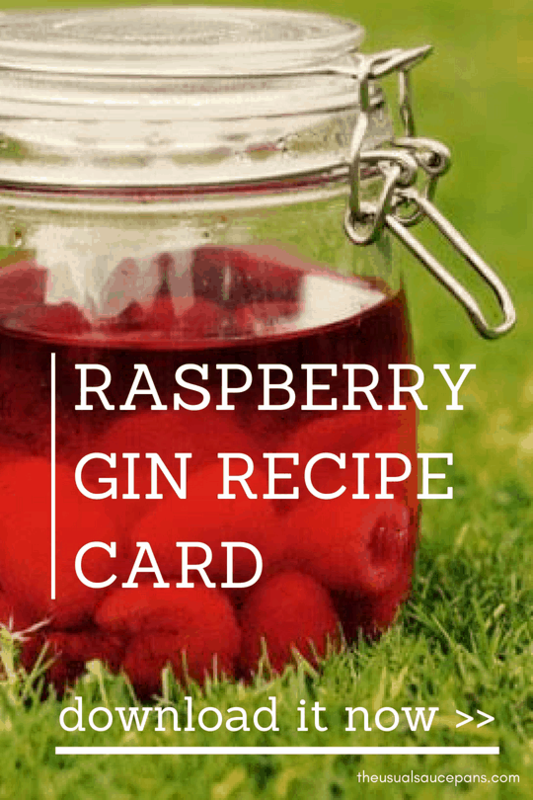 Raspberries won’t be in season yet, but frozen raspberries will work just as well (and you can make it into a raspberry gin smash, if you need a boozier version).